Schaeffler introduces its contribution to the development of accessible Industry 4.0 capabilities with the company flexible digital infrastructure. Schaeffler has introduced a standardised and flexible digital infrastructure for the Industrial Internet of Things. With components equipped with sensors, application-specific systems and cloud-based services, manufacturers and operators of machines and equipment can use and apply the Internet of Things (IoT) in practice. 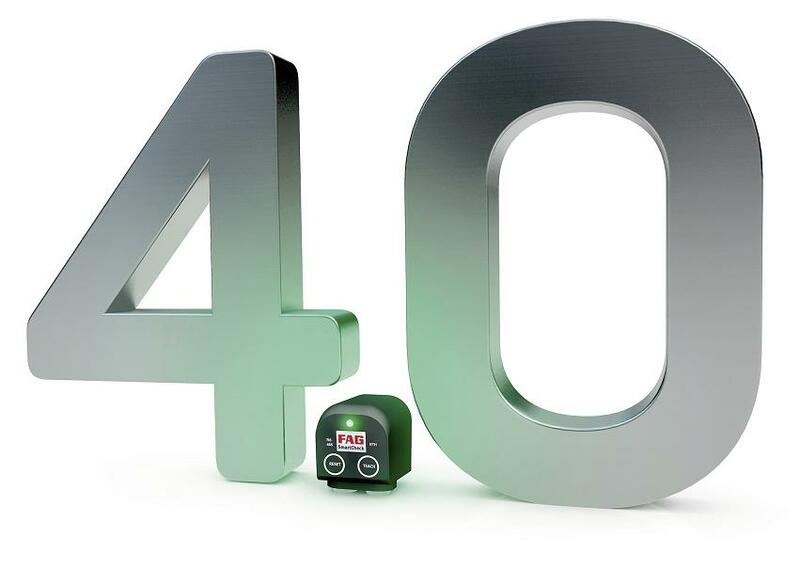 Schaeffler’s Smart Ecosystem 4.0 offers a comprehensive, cloud-based hardware and software infrastructure that includes every stage of digital added value – from components equipped with sensors through to digital services. The flexible architecture of this system gives manufacturers and operators of machines and equipment a simple, application-oriented point of entry into Schaeffler’s range of digital services that can be expanded at any time. The rolling bearing, its mechatronics derivatives and the corresponding domain expertise provide the central source of information in this field. Components equipped with sensors are central to the drive systems used in machines and equipment – they record data and are the fundamental “enablers” for these digital services. Schaeffler’s aim is to continuously transform conventional mechanical products and integrate them into the digital world. Bearings and guidance systems equipped with sensors have already been on the market for several years. At the 2017 Hanover Messe, Schaeffler presented a rolling bearing system that is based on standard products and can be configured in a modular fashion with various different sensors, which allows virtually every desired bearing position to be equipped with sensors. This represents an important step towards a future in which not only complex systems but also simple assemblies and machines will have easy access to digitalisation and the IoT. The recorded data is transferred via a flexible Schaeffler Gateway to the Schaeffler Cloud, where Schaeffler’s rolling bearing domain expertise is made usable in the form of digital services. For example, automated rolling bearing diagnosis and ‘remaining useful life calculation’ can be used to provide precise information on the condition of the bearing and therefore of the machine being monitored, which in turn, allows specific actions to be recommended. It will even be possible to use actual load data to make adjustments to operational machine processes in real time. Schaeffler’s Cloud-capable FAG SmartCheck, which for the first time allows a simple and flexible point of entry into the digitalisation of machines and equipment based on vibration monitoring, was also on display at the 2017 Hanover Messe. This latest version of the FAG SmartCheck uses an MQTT interface to provide a direct link to the Schaeffler Cloud or to any other platform based on IBM technology. It’s also possible to communicate with other cloud technologies via a Schaeffler gateway or alternative gateway solutions using an OPC/UA interface. The connection between the SmartCheck and the Schaeffler Cloud is remarkably easy to make via smartphone, e.g. by scanning the relevant product’s QR code or using the free app. This gives the customer direct access to services such as Schaeffler’s automated rolling bearing diagnosis, which is based on the vibration data that the FAG SmartCheck has gathered from rolling bearings as well as shafts and other rotating components. Depending on the contract, the customer gains access to the condition data, partially-automated recommended actions or, in the case of more complex machines, a connection to the Schaeffler Service Centre, which provides specific and individual recommended actions. In the next stage, it will also be possible to use the SmartCheck to record speed and torque and to classify this load data. In the Cloud, the Bearinx rolling bearing calculation software tool is then used to compare the actual load data with the fundamental load data used during the design phase, and the rolling bearing’s remaining useful life is then calculated on this basis. These applications will be available for all products based on the SmartCheck technology, including railway technology applications such as those presented by Schaeffler at InnoTrans 2016. Rolling bearings are ideally suited to gathering information, since they are located at the heart of the application’s flow of force and so are exposed to all of the loads that occur. Combining these with the domain expertise on rolling bearings in specific applications that is made available via the Cloud, allows this information to be used to control the process in a targeted manner in order to achieve the maximum degree of capacity utilisation and optimise product quality. The prerequisite for this is a holistic and standardised infrastructure from the sensor through to the Cloud, which Schaeffler now provides with its Smart Ecosystem 4.0.